Please be sure to go through the terms and conditions carefully before using this page. You can use this website without being charged. By using this web page, you, the user are agreeing to abide to and be bound by the terms and conditions listed on this page. If you are not willing to agree to the following terms and conditions after carefully reading them, we would ask you to stop using this website. 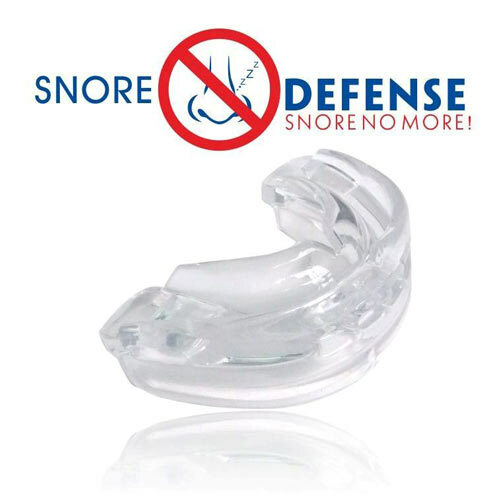 Snore Defense is a top-quality anti-snoring device. It is produced under the supervision of Ear, Nose and Throat physicians and dentists. It is designed in compliance with the European standards. Snore Defense is made of materials that are safe for your health and its 'Air Spring Base' technology is what differentiates it from its competitors. All prices listed on the site are final. If a promotion is running, the customer can take advantage of a discount in the price. This would be possible, if the customer enters the promo code he/she is provided with. Prices can be changed without prior notice. Customers will have to pay the price that is listed at the time of purchase. The payment method is CC (credit card). You can buy the device only through filling our online order form. To complete the order, you have to fill in all the required fields. The only payment method we accept is CC (credit card). For the delivery of our products we use the services of a courier. Shipping is free. Delivery takes between 7-10 working days from the day of purchase. If the ordered goods are not available at stock, we would inform the customer. We should not be held responsible for any delay or failure to perform any of our obligations if this is the result of unexpected events that are not within our control. Our customers have all the rights stated in the Law of Consumer Protection (LCP). If the customer has any complaints or he/she wants to return the product, he or she should send them by e-mail: info@snoredefense.com. The reason for the claim should be explicitly stated in it. The claim could be rejected if it is considered to be unfounded. The buyer can have his goods replaced. In case of replacement the expenses for the delivery and shipping or any difference in the price would be paid by the buyer. ▪ Comply with the Personal Information Protection Act. ▪ Preserve the confidentiality of the personal information of our customers. ▪ Deliver the ordered products within the agreed time frame to the address that the customer provided. ▪ If the address of the customer is invalid or non-existent, we reserve the right not to deliver the goods. ▪ We are not to be held responsible for the information listed by the product manufacturer. ▪ Give relevant contact details- phone, e-mail and shipping address. ▪ Pay the price of the ordered goods. ▪ Make sure that a representative will be present at the time of delivery. ▪ Do not fabricate orders. ▪ Do not forge testimonials or provide any other false information. ▪ The customer has the right to receive the ordered goods within the designated period. ▪ The customer has the right to return the delivered goods within 7 working days as stated in the law of Consumer Protection. We are entitled to change these Terms and Conditions at any point but this right shall not affect the existing Terms and Conditions accepted by the Buyer at the time of purchase. Please check regularly for changes in the Terms and Conditions section of the website.